On this page, you’ll find ESXi Monitoring tools as well as Free Tools for VMware, Microsoft. This is one of the best selections of Free Tools for VMware and Microsoft. Monitoring tools for virtual infrastructure, but also backup products. All products here are free because usually, you can upgrade to a paid product to get even more functions. Free VMware Monitoring Tools are the essentials that VMware admins can use and implement when managing virtual infrastructures running VMware or Microsoft Hyper-V. Many of them have been awarded during VMworld. Altaro VM backup – Free VM Backup for 2 VMs. Forever. Check it out! The free version can backup just 2 VMs per host. All interesting features are in the more advanced, Unlimited Plus edition. But you can start with the free one. 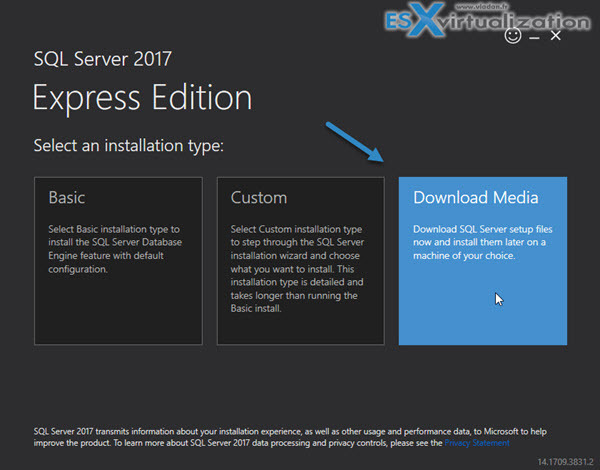 The Free edition does not provide offsite backups, file level restores or a possibility to restore on a different host either. Check the edition compare and pricing here. New: Altaro Free – a limited version of Altaro, but free forever. Download here. Veeam Backup Community Edition v9.5 U4a: It is a free version allowing backing up to 10 VMs for free. Veeam Backup Community Edition – Download Now. Users can start using Veeam without having to purchase any license. Download Backup 10 VMs for FREE. Forever. (It’s a standard version limited to 10 VMs). Nakivo Backup and Replication – Quite new company, but already version 6 of their product! They also have a completely free version or if you are VMUG member, VMware vExpert, VCP, VSP, VTSP, or VCI you can receive a FREE two-socket Not For Resale (NFR) license of NAKIVO Backup & Replication for your home or work lab. I published several articles about Nakivo. Check out the latest one here. Latest feature? For example, the Flash VM Boot feature allowing to recover VMs directly from backup repository…. The free product compared to the full, licensed product, does NOT allow you to use, Scheduler, Forever Incremental/reverse incremental, Retention policies, Reconfigure backup job(s), Replication, Failover and Failback, Quick VM Recovery, Disk level recovery, Automated Backup verification, Offsite DR Replication; Cloud DR Replication; WAN acceleration, Bandwidth Throttling. Interested in Vembu? Check out their website and download a trial. Free SoftEther VPN Server – The product consists of several modules (server, client, bridge) and is available for Windows (including ARM machines), Linux and MacOS, or Android/iPAD. I’m usually not a much into a VPN software solutions, but this one seems to be quite different. It’s built by Japanese university of Tsukuba and covers multiple use cases and has some built-in utilities for Dynamic DNS (no need for external IP being Fixed IP) and free Microsoft Azure VPN. LPAR2RRD – The tool offers you end-to-end views of your server environment and can save you significant money in operation monitoring and by predicting utilization bottlenecks in your virtualized environment. You can also generate policy-based alerts, provide capacity reports and forecasting data. It is a Free Performance and monitoring tool distributed via GNU v3. For customers under support, there is distributed the enterprise edition with additional benefits. (paid support). The tool supports IBM Power Systems™ and VMware™ virtualization platforms. It is agent-less (it receives everything from the management stations like vCenter or HMC). The collected data set can be extended with data provided by the OS Agents or NMON files. The product can be installed on Linux, Unix or AIX systems. Or you can use VMware or Microsoft Hyper-V virtual appliances. PoshPAIG – free utility called PoshPAIG (PowerShell Audit Installation GUI) is developed and maintained by Boe Prox at learn-powershell.net. Download from the product page. The tool allows you to Audit installed patches, Install patches remotely. The possibility to export the results to CSV files is also included. This very interesting feature for doing PowerShell Audit and Patch Installation on windows server systems, where you need to gather a list of patches deployed etc. You can also remote – reboot the managed servers. Read my article on how to install and use this tool here. Veeam Endpoint Backup – destined for physical PCs/ laptops. Can do a volume or file level backups. The restore of Full PC/ laptop or individual files is possible. Check my post with video with details here. The product is free and will stay free. Recently updated to support Windows 10, the version 1.1 also adds resizing of partition when restoring option and Universal restore (to dissimilar hardware) options enhancements. The 1st backup is Full and the next backups are incremental. Veeam FastSCP for Microsoft Azure – Veeam FastSCP for Microsoft Azure is meant to be used by developers willing to copy a file to and from VMs running on Microsoft Azure. So you can copy files to and from the inside of a VM, which is normally not so fast, and it’s painful if, for example, you do it through RDP. It’s standalone and Free tool from Veeam. No integration with other software products from Veeam. Check the detailed post and download link here. MicroCore Linux (with open-source VMware Tools) – source: Mike Laverick’s blog. The author is Doug Baer who put it together. 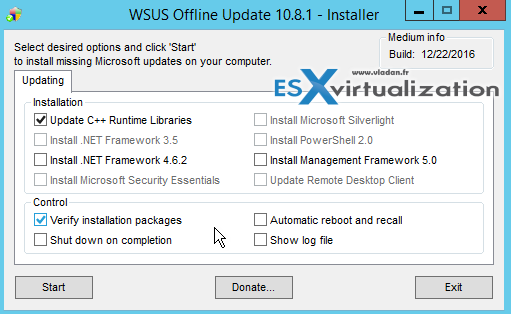 VMware OS Optimization tool – The tool has been newly updated. It’s fast utility which can optimize different settings which slowing down the VDI desktops when using default settings only. Many services, registry settings, scheduled tasks etc…. The latest release has updated templates for Windows 7/8/10/Server 20089-2012 – based on VMware’s OS Optimization Guide, New templates for Windows 2008/2012 RDSH servers for use as a desktop, Single portal EXE design for ease of deployment and distribution, Combination of Remote and Local tools into one tool, Better template management, with built-in and user-definable templates, Results report export feature. Various bug fixes, usability enhancements, and GUI layout updates. Get your copy of VMware Os Optimization utility here. 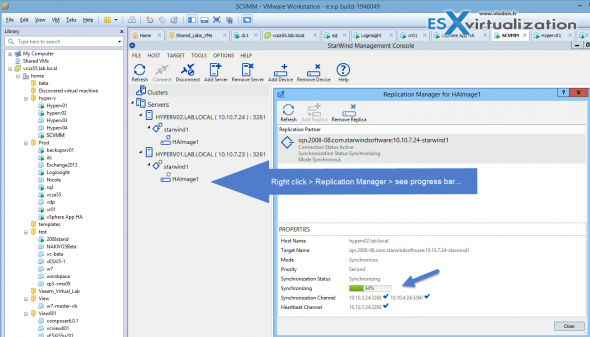 Starwind Virtual SAN – Free version (limited to 2 hosts). The free version of Starwind Virtual SAN offers some good possibilities: Data Deduplication, Unlimited storage capacity & an unlimited number of supported concurrent iSCSI connections. Full Production use is allowed. StarWind Virtual SAN Free is completely unrestricted: it is allowed for production use, supports all usage scenarios of the commercial version, has a perpetual license, and is not feature- or a functionality-limited version of StarWind VSAN. Caching – a multi-level cache mechanism can use gigabytes of RAM and converts it into extremely fast level 1 write-back or write-through cache. Continuous Data Protection and Snapshots that are completely compatible with VSS (Volume Snapshot Services). iSCSI boot is fully supported with iSCSI boot capable NIC. Download your copy of Starwind Virtual SAN. PowerShell Plus 5.0 – professional tool from Idera. There is a free tool from Idera which has appeared recently on my radar, and even if I’m not a PowerShell guru, this tool might make me “like” the PowerShell thingy a bit more than usual. Read my detailed article about PowerShell Plus here. 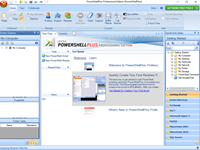 Download Free PowerShell Plus 5.0 here. 2008R2 SP2 – SQLExpress 2008 with management studio or Management studio only. 2012 – SQLExpress 2012 with management studio or Management studio only. 2014 – SQLExpress 2014 with management studio or Management studio only. Allows “Offline” patching of Windows systems. Client and server OS are supported. There is also patches for Microsft Office and in different languages. Copy to the directory – this option allows you to copy the patches elsewhere. Option to specify your local WSUS server is handy too where you can save your time and just “collect” what you need from your WSUS server running on your LAN. Has updates to Windows PowerShell, Windows PowerShell Desired State Configuration (DSC), Windows Remote Management (WinRM), Windows Management Instrumentation (WMI). Download the correct package for your operating system and architecture from this page at Microsoft. The following architectures are supported. (This tool is getting old). vCenter Pre-Upgrade Checker – The VMware vCenter Pre-Upgrade Checker not only detects problems but also miss-configuration and can avoid performance problems after the upgrade. The tool produces an output single zip file. Inside of this zip file, there is the database signature file and also the message log from running the upgrade checker tool. 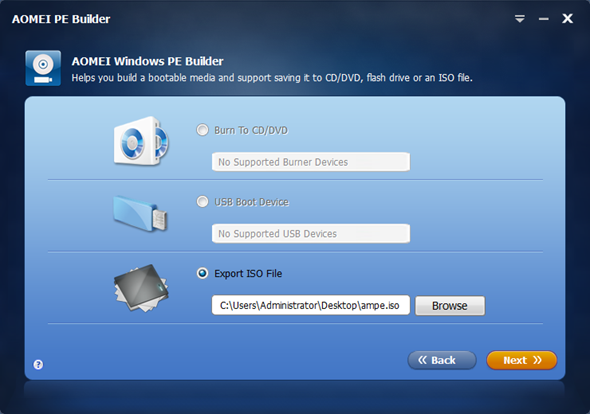 AOMEI PE Builder – Supported on Windows 7/8 based systems (x32 or x64) but also on Windows Server 2008/2012 based systems. The server platform support is a good thing in the case that you’re system administrator and maintaining physical server boxes. It allows creating Win PE bootable environment without installing Microsoft WAIK. The tool has also some built-in tools and additionally, you can add your own utilities very easy which gets exported to the final ISO. 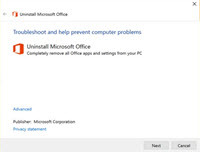 Note: You can install it only on Win 7/8 (not 8.1) or server 2008/2012 (not R2). But once created you can use it to boot systems from windows XP/2000/Vista/7/8/8.1 and Server 2000/2003/12008/2012…. Product page. WinDirStat – Windows Directory Statistics. This free software helps you to find out where all your disk space has gone. It is free and open-source graphical disk usage analyzer for Microsoft Windows. We have previously reported on a different, but similar, software called Tree Size Free which has also a paid alternative. WinDirStat was re-programmed for Windows from Linux by Bernhard Seifert. The original program is based on Stefan Hundhammer’s program KDirStat. The software is distributed under GNU General Public License v2. Depending on which user you are, your Windows OS can become slower and slower over time and is eating more and more disk space. One day you might wonder Where all my disk space is gone? The files can be literally anywhere, usually hidden in sub-directories. To check all different sub-trees and folders manually and see if there are some high capacity files, it’s impossible. One would have to open and collapse hundreds or thousands of directories. Download Page of WinDirStat. PuTTyTray – It’s a free tool which can be personalized and which is cool. One of the personalization possibilities is, as you can imagine and according to its name, to have it running in Windows tray with eventually an option to open the window with a simple click. The personalizations can be done via Right clicking the app > Change settings. Attended access – remote support via the agent module. No installation is necessary in this case. Address book sync – can sync with other technician’s machines which provide the support for your company. The address book is also backed up every day. File Transfer – you can transfer files to and from. YUMI – Yumi provides you with a list of pre-programmed Linux Distributions and Utilities that are available for multi-boot USB creation. You can choose any of those tools from a drop-down menu. A second step is to point to the ISO file so YUMI can extract the necessary files and copy them to the particular folder on the USB stick. YUMI has almost all distros of Linux but also antivirus, system tools and other utilities which can’t be put into a particular category but shall be on every administrator’s USB stick toolbox. Download YUMI. Check How to Create Multiboot USB Stick With Veeam Recovery ISOs for Different Systems. VMware Converter Standalone – This is a free tool from VMware that everybody knows. Use a converter to do P2V conversions, adjust Virtual disk size during V2V conversions, change from Thick to thin … See how to shrink VMDK size in my post here. You can check my post on How-to disable the SSL to speed up the conversion process. If you have many VMs to convert, want to speed up the conversions by disabling SSL via script. From v. 5.0 of Converter, there is the possibility of alignment of converted VMs on a destination datastore. Converter 6.1.1 supports conversion from Hyper-V v3 VMs (powered off) and also Windows 10 systems. StarWind V2V Converter – StarWind V2V Converter allows the conversion of VMs from one format to another, basically “cloning” them and keeping the original file intact. P2V conversion does everything. It migrates the server OS including its configuration and all applications running on that server, into a virtual machine. With VMware converter we had an option to do P2V into VMware ESXi, but not into Hyper-V. StarWind V2V Converter allows both. StarWind V2V Converter Free is available at this link. You can gain up to 30% in performance. See my post on it here. It can be used as “Poor man’s DR solution“. It’s the same version which is bundled with vSphere Essentials, Essentials Plus or higher versions of VMware vSphere. In case you need the Cold clone ISO – you can get it from my Dropbox Folder. Don’t have Dropbox for yourself? Get one now with 5Gigs of free space. VMware Player – VMware Player is great for doing some demos or testing. 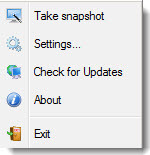 It lacks a lot of features from VMware Workstation like snapshots, connection to the vSphere infrastructure and many others, but I like to use it because it’s very lightweight and handy and the recent features like unity are really great… You can have your VM in the background and the windows and programs executing inside this VM are “in front”. The unity mode is just signaled by a red icon on the window. You will not see the VM player windows floating on your desktop, but the applications. RVTools – Quick inventory can be done with this free tool from Rob de Veij. It’s a small MSI package which after installation can list information about CPU, memory, disks, NICs, cd-ROM, floppy drives, snapshots, VMware tools, ESXi hosts, and datastores. Download RV Tools from here. Pretty useful to quickly gather different information about your infrastructure. 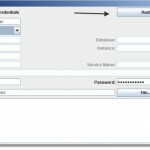 Putty is used for remote SSH to the VMware ESX service console and Linux servers or desktops. Putty is one of the “classic tools”. Everybody knows putty…. there is also putty portable you can carry around on your USB stick. You can download Putty Here and Putty portable here. svfAlarms – By chance, I stumbled through this free GUI utility called svfAlarms, which enables you to import and export vCenter Alarms. There are some 37 default alarms in vCenter 4, 55 default alarms in vCenter5 and 61 default alarms in vCenter5.1 Alarm definitions can be fairly complex and to manage and document alarms, duplicate them across multiple vCenter installations and also to keep a managed state can be time-consuming for administrators. The sfvAlarms utility can help simplify the alarm management task. Read my post or Download the utility. 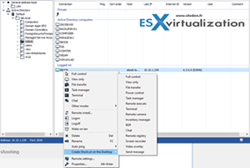 ESXi-Customizer – user-friendly GUI tool from Andreas Peetz, that automates the process of customizing the ESXi install-ISO with drivers that are not originally included. Unlike other scripts and manuals that are available for this purpose, ESXi Customizer runs entirely on Windows and does not require any knowledge of or access to Linux. Read my detailed post or download the tool. Find inactive computer accounts in Active Directory – AD Tidy Tool – After running a reporting tool which brings results, you can select the desired records and do some actions, like disabling, moving, adding/removing to/from groups etc. You can also set expiration data on objects. The tool uses powerful filtering options and can do a lot of actions. You can also build your own action sequences or export pie charts. The creator of this tool is Chris Wright from the UK. GParted Live ISO – I’m sure that everyone knows this tool. But still, I want to share my recent experience. You know that with the new hosts I got for my lab there is the Supermicro’s iPMI remote management, and I found myself too lazy after all. All you need to do to attach a GParted Live ISO, then boot the system on it and then do what you have to do. No need to burn the iso or to create a bootable USB stick. VMware Network port diagram – get it from this page. vSphere 6.0 ESXTOP poster quick overview of troubleshooting. Andreas Lesslhumer over at www.running-system.com has an updated version of his vSphere 5.5 ESXTOP quick reference PDF poster. I blogged about the poster in my article when it first came out, and now it’s been updated for ESXi 6.0. Get your copy. Then there is another interesting diagram about Memory management. VMware vSphere 6 Memory Management and Monitoring diagram explain not only the four principal memory management techniques that vSphere 6 uses. VMware uses a number of memory reclamation techniques when under pressure. Hypervisor Swapping – Hypervisor swaps pages to disk… bad on performance. I’m sure that you have already seen the diagrams like those and I’m sure that you recognize the author – Hany Michael who works for VMware -:). Get your copy.